Mainstays 40-Inch Table Just $29.44! 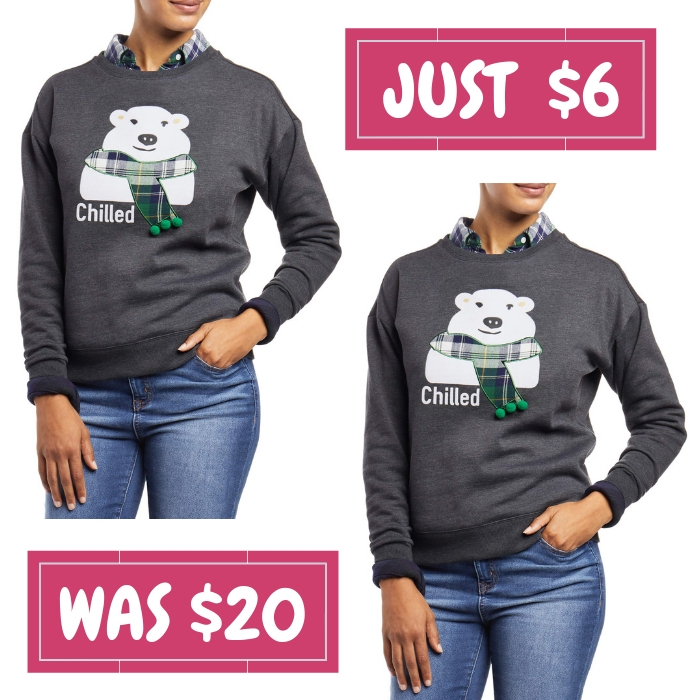 Down From $89! 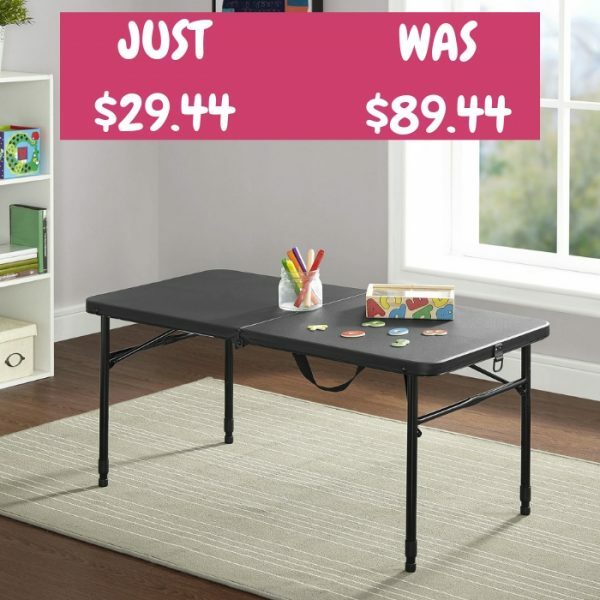 At Walmart, you can score this Mainstays 40-Inch Foldable Table for just $29.44 down from $89.44 PLUS FREE store pick up or FREE shipping for orders $35 or more! Provide all of the table space that you need in all kinds of settings with the Mainstays 40″ Fold-in-Half Table in Rich Black. This versatile rectangular table is sturdy and durable, made with reliable materials, and folds for easy storage and transportation. When you’re finished using it, just fold in the metal legs, fold the table in half, and your newly compact table is ready for transport! Its classic black color is sure to fit in at any gathering in any setting, and it’s spacious expanded 40″ long table-top is ideal for holding a wide variety of foods, crafts, or whatever items you are working with! It’s great for everyday use both indoors and outdoors, as a serving table, craft supply table, outdoor meal table, or for whatever purposes you may need. Classic black color coordinates with almost any dcor! Ideal for everyday use beside your favorite chair to hold the remote, drinks and snacks. Also perfect when you need some extra space for your next game night or dinner party. 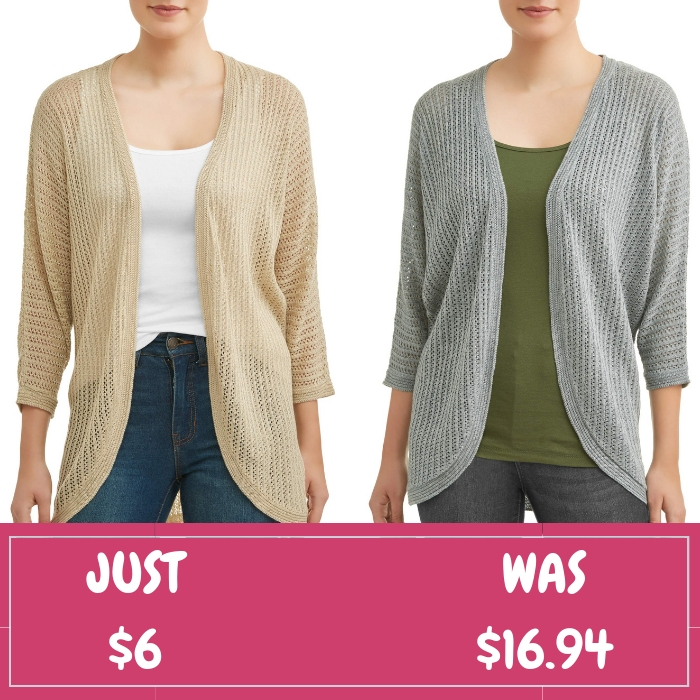 Women’s Pointelle Cardigan Just $6! Down From $17! Score this Women’s Pointelle Cardigan which is on sale at Walmart for just $6 down from $16.94 PLUS FREE store pick up or FREE shipping for orders $35 or more! The Time and Tru Women’s Pointelle Open Cardigan is the perfect lightweight layer. It’s pointelle fabrication is beautiful and breathable, giving just the perfect amount of extra warmth. The open front makes it easy to toss on and off. Wear over your favorite dress for a perfect warm weather look or over jeans and booties for a cool, everyday outfit. 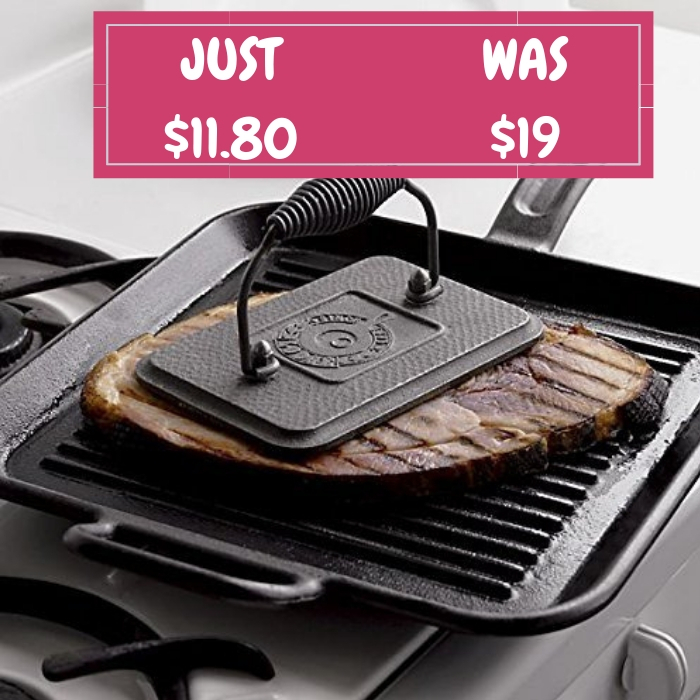 Kitchen Tools & Gadgets 8-Piece Set Just $16.97! Down From $43! Head over to Walmart to score The Pioneer Woman Kitchen Tools & Gadgets 8-Piece Set for just $16.97 down from $43.10 PLUS FREE store pick up or FREE shipping for orders $35 or more! The Pioneer Woman Cowboy Rustic 8-Piece All-in-One Tool & Gadget Set includes many of the kitchen tools you need for cooking, baking and entertaining at home. You’ll reach for at least one of these handy kitchen gadgets every day. 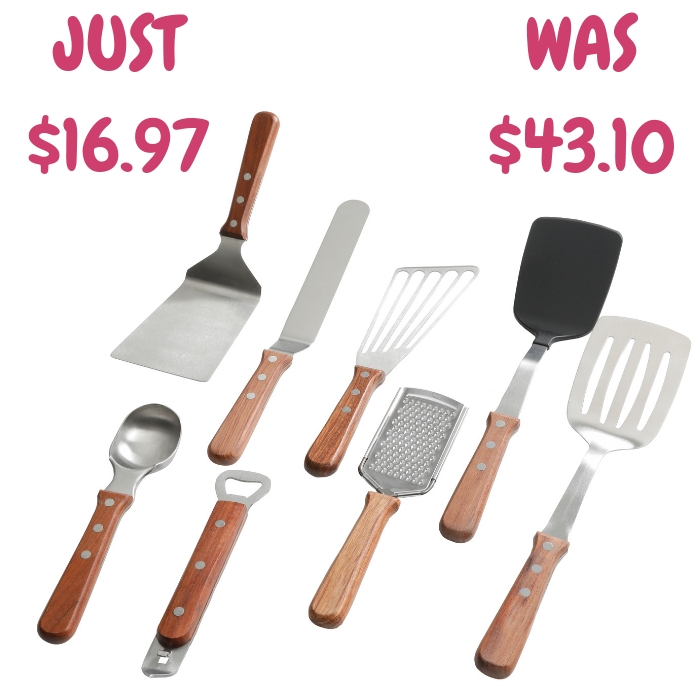 Ree knows how important it is to have her favorite tools to use with all of her baking and cooking recipes, which is why this set includes a 9-inch grater, 12-inch spreader, bottle opener, 10-inch jumbo turner, 13-inch all purpose turner, 14-inch nylon turner, 13-inch slotted turner and an ice cream scoop. Composed of durable stainless steel and beautiful rosewood handles designed with a full tang, triple-riveted technology, each piece in this set is a must-have. To best preserve the quality of the rosewood handles, hand washing is recommended. Make the Pioneer Woman Cowboy Rustic 8-Piece All-in-One Tool & Gadget Set the latest addition to your kitchen! Mainstays Hello Throw Pillow Just $5! Down From $13! Walmart is currently offering this Mainstays Hello Throw Pillow for just $5 down from $12.88 PLUS FREE shipping for orders $35 or more! Personalize your dorm room when heading back to college with this Mainstays Gold Dot Metallic Hello Throw Pillow. Both functional and stylish, this Mainstays throw pillow is perfect to lounge around on your use to decorative your dorm room. The fun and bright colors bring life to your space adding fun details and color. The Mainstays throw pillow is made of poly canvas material perfect for laying on. The fill material is 100 percent polyester soft and comfortable material. This throw pillow is a 16″ x 16″ perfect for relaxing on. Make sure to add some color to your dorm room with this throw pillow when heading back to college! 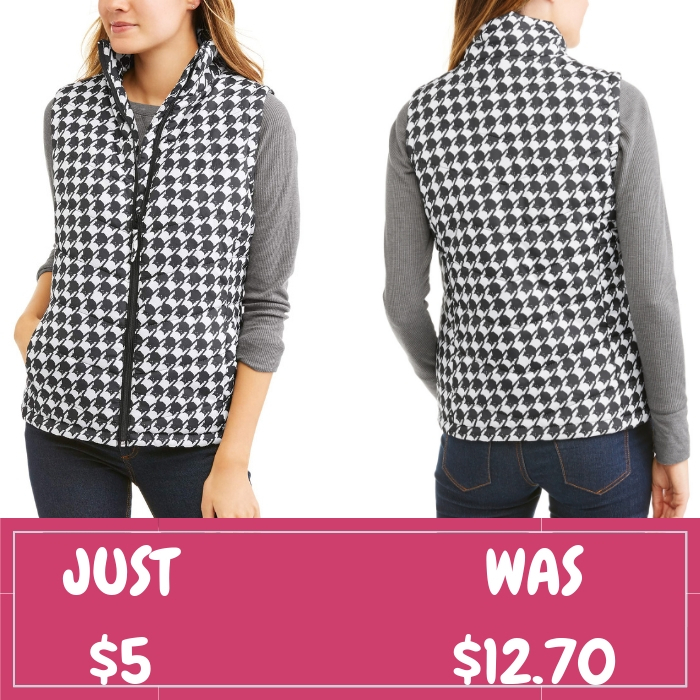 Women’s Classic Puffer Vest Just $5! Down From $13! 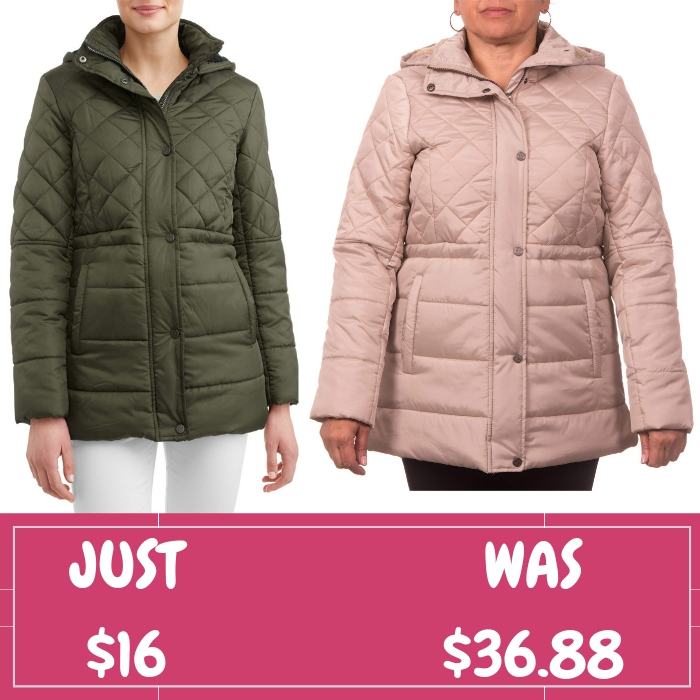 At Walmart, you can score this Women’s Classic Puffer Vest for just $5 down from $12.70 PLUS FREE shipping for orders $35 or more! The Jason Maxwell Women’s Classic Puffer Vest is an alluring combination of cold-weather comfort and trendy style in one sleek package. This vest has a chic quilted body and a smooth lining, so it will keep your torso warm without feeling stuffy or restrictive. The full-zip front closure gives you plenty of wearing possibilities, while the two front pockets are great for keeping your hands warm. This quilted vest is available in a wide variety of styles, including timeless plaid designs, and makes a fine addition to your spring and fall wardrobe. Women’s Jersey Robe Just $10.50! Down From $30! Walmart is currently offering this Women’s Jersey Robe for just $10.50 down from $29.99 PLUS FREE shipping for orders $35 or more! Cervantes by Mosaic Bath & Spa’s Signature luxurius robes are famous. Super softness with an ageless, classic fit creates the perfect robes for the chillier months. With incomparable confort, you will fall in love! This soft luxurius robe is a one size that will fit most. 8-Piece Glass Bakeware Set Just $12.88! Down From $30! 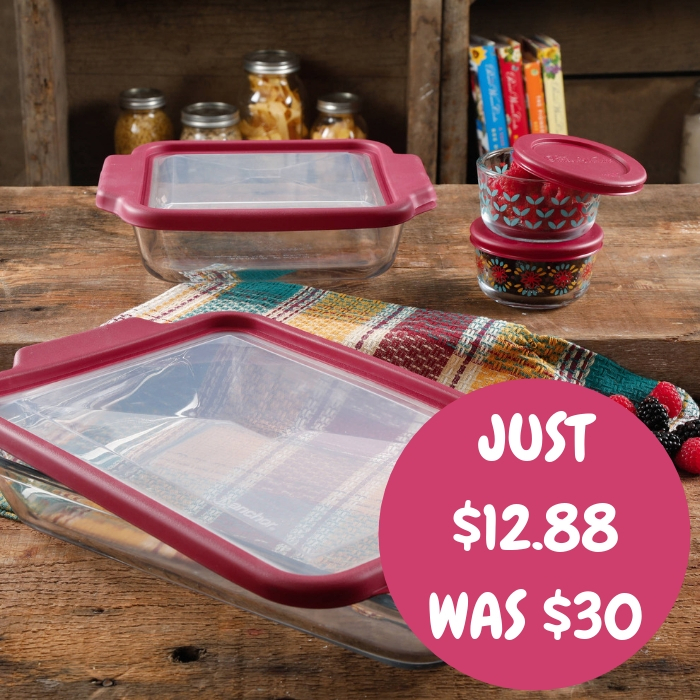 Walmart is currently offering The Pioneer Woman 8-Piece Glass Bakeware Set for just $12.88 down from $29.64 PLUS FREE shipping for orders $35 or more! 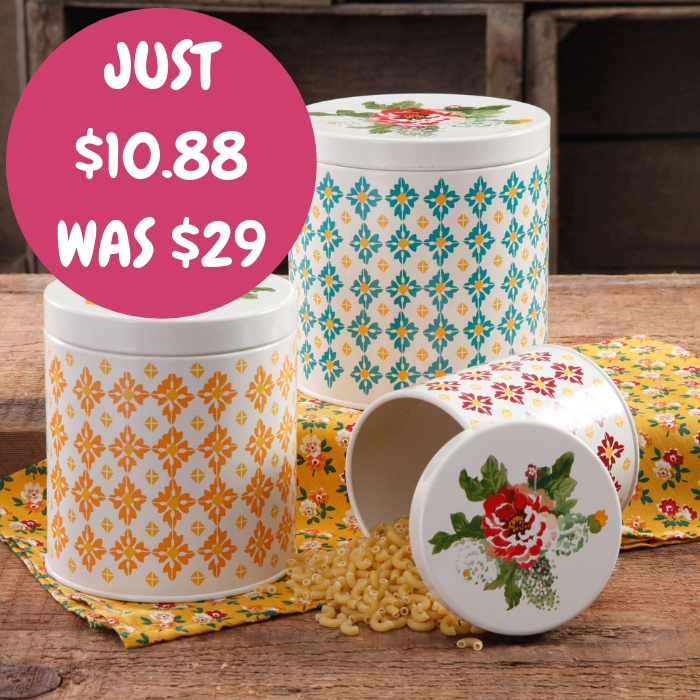 Pack all of your favorite meals in style with this sturdy and beautiful 8pc decorated glass storage set. 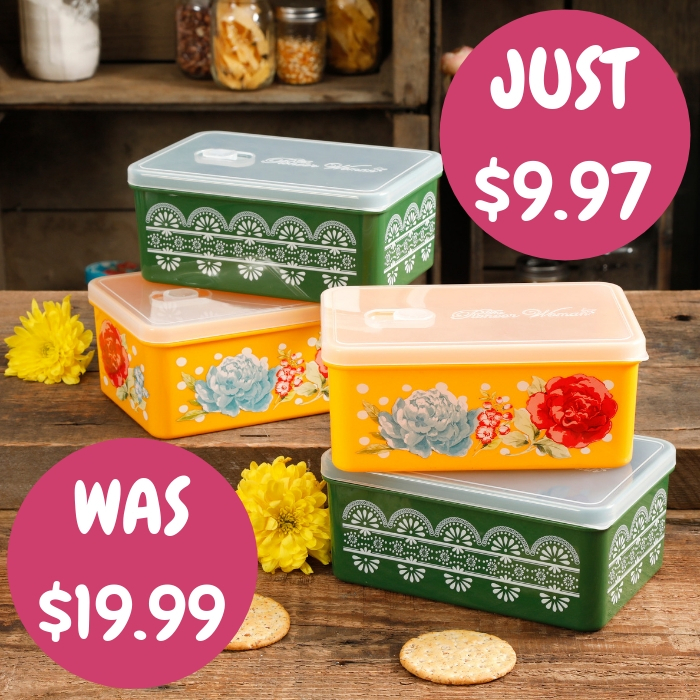 Featuring a charming assortment of patterns and a convenient and easily removable plastic lid, this eight-piece set is sure to become your go-to storage accessory! Heated Throw Blanket Just $19.99! Down From $40! 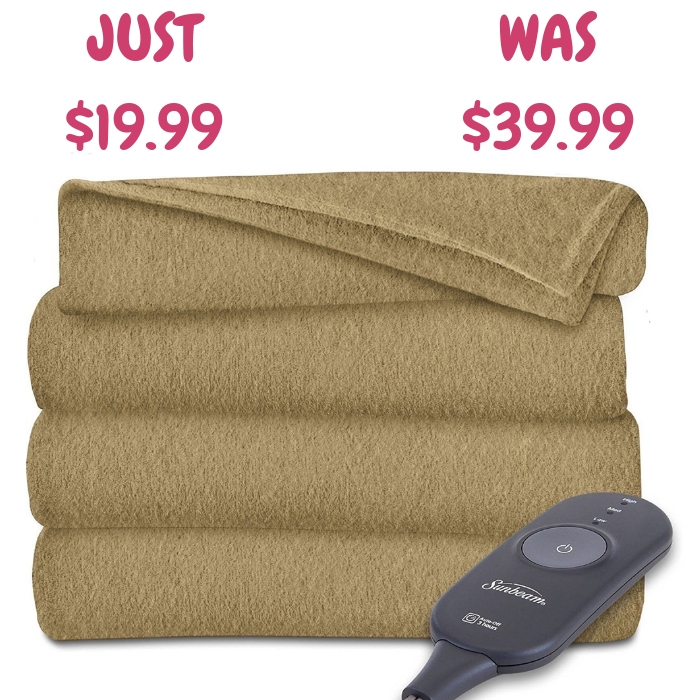 Head over to Walmart to score this Sunbeam Heated Throw Blanket for just $19.99 down from $39.99 PLUS FREE store pick up or FREE shipping for orders $35 or more! Curl up and relax in head-to-toe warmth with this Sunbeam Electric Heated Fleece Throw Blanket. Crafted from fleece, this luxurious heated blanket offers the warmth and softness you need to fend off winter chills. Featuring 3 heat settings and an easy-to-use controller, it delivers consistent heat that you can adjust to your preferences. The blanket’s exclusive wiring system uses thin, flexible wires that help ensure superior heat distribution while remaining virtually undetectable. A convenient 3-hour auto shutoff provides peace of mind. Measuring 50 by 60 inches, this self-heating fleece blanket is large enough to use as a personal throw or wrap, and it’s machine washable and dryer safe. Mainstays Metallic Throw Pillow Just $5! Down From $13! Walmart is currently offering this Mainstays Metallic Throw Pillow for just $5 down from $12.88 PLUS FREE shipping for orders $35 or more! 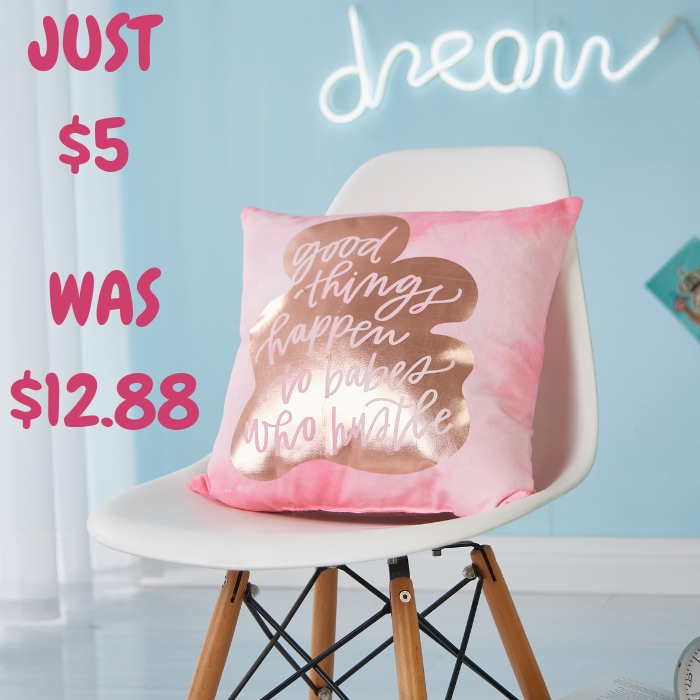 Personalize your dorm room when heading back to college with this Mainstays Good Things Happen To Babes Who Hustle Metallic Throw Pillow. Both functional and stylish, this Mainstays throw pillow is perfect to lounge around on your use to decorative your dorm room. The fun and bright colors bring life to your space adding fun details and color. The Mainstays throw pillow is made of poly canvas material perfect for laying on. The fill material is 100 percent polyester soft and comfortable material. This throw pillow is a 16″ x 16″ perfect for relaxing on. Make sure to add some color to your dorm room with this throw pillow when heading back to college! 3-Piece Canister Set Just $10.88! 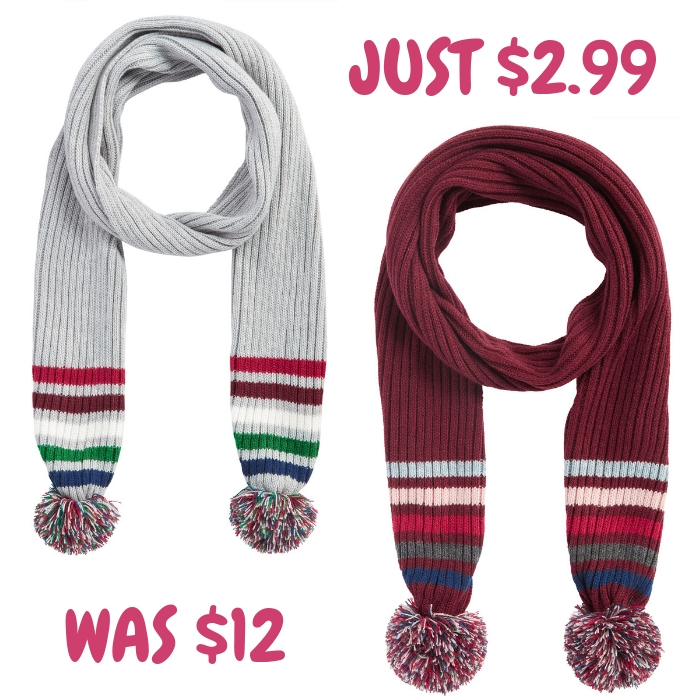 Down From $29! Head over to Walmart to get The Pioneer Woman 3-Piece Canister Set for just $10.88 down from $28.79 PLUS FREE shipping for orders $35 or more! The Pioneer Woman Canister Set is a stylish addition to any kitchen. Decorated with a playful mix of lush florals and geometric patterns, it is both decorative and functional. This decorative canister set is ideal for storing coffee, tea, sugar and spices while keeping them easy to access. Pair it with the dinnerware set or other items in the collection to coordinate your kitchen. The set comes with a 6″, 6.75″ and 7″ canisters that are hand wash only. They are not designed for storing liquids.